“Fathers and Sons…” is a story of an uncommon love and devotion between fathers and sons. It is a story of my recovery from two rounds of life-threatening brain surgeries to play on three championship softball teams in two states. It includes a chapter on the most controversial sports topic of our time; Deflategate. It is also an ode to my late father Gordon, the greatest sports parent of all time! Mr. Keith D. Guernsey is retired after a forty year career in sales and sales management with several fortune 500 companies. He currently lives on Lake Lanier with his wife Susan and four-footed son Harley. Mr Guernsey spent a good portion of his youth playing sports, active in both football and hockey. In 1995 Keith was diagnosed with a life-threatening brain tumor (called an Acoustic Neuroma) and he underwent a ten hour operation at the world-renowned Brigham and Women’s hospital where it was successfully removed. While recovering, he met and married Susan. Together they faced his next challenge. In 1997 his neuroma returned. He was to undergo yet another, more complex, operation which resulted in a complete cure, however side effects of this second more invasive procedure caused prolonged inactivity and led to severe weight gain of over 100 lbs. 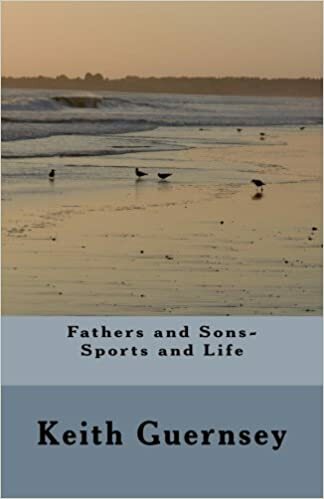 Today Mr. Guernsey is very proud of the fact that he has been able to overcome his physical challenges, losing over one hundred and thirty five pounds, and has found the time to write two successful books (“Confessions of a Beantown Sports Junkie and “Fathers and Sons-Sports and Life”). He now enjoys a more active and rewarding lifestyle at age sixty five than at he did at twenty five! His current interests include senior softball, he has recently been elected to the Board of Directors of ITN Lanier, he volunteers as a delivery driver for Meals-On-Wheels and works as a counselor for veterans who are looking to re-enter the work force.